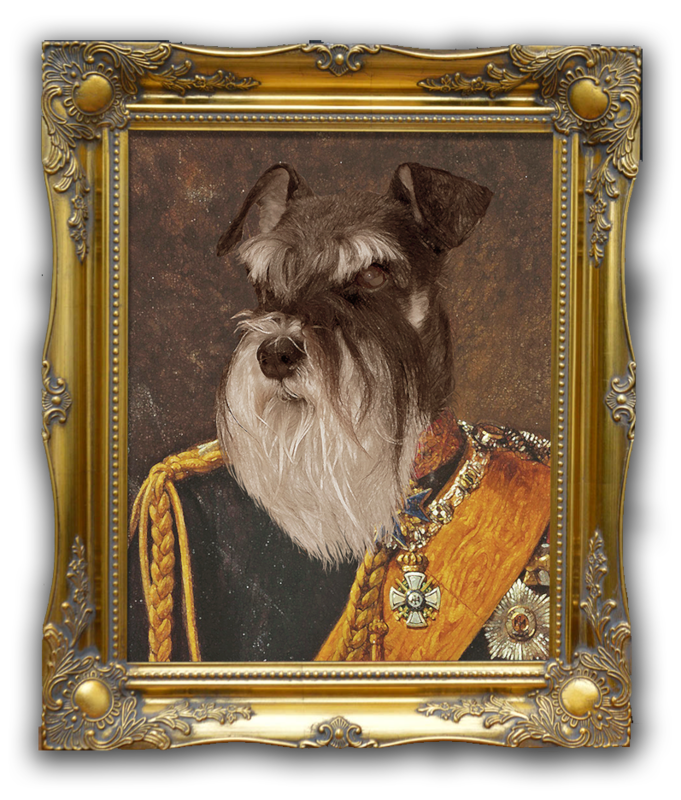 Through the magic of Photoshop we give dogs & cats The Royal treatment, blending photos with Renaissance portraits show. However if you have a specific painting you have sourced we can use that instead! 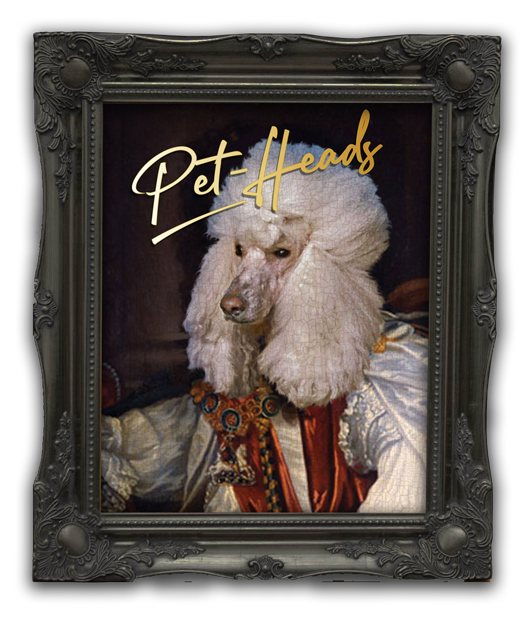 The finished pet portraits can be printed on a number of options including mugs & phone cases. Our most popular is the antique paintings you see below. Find the image you want to use, select your size and frame and send it in. Please take into consideration the angle that the head should be in relation to the image you have selected, we advise trying to take a photo specifically for this project and making sure the image is high resolution. You can contact us to discuss this if you have any questions. 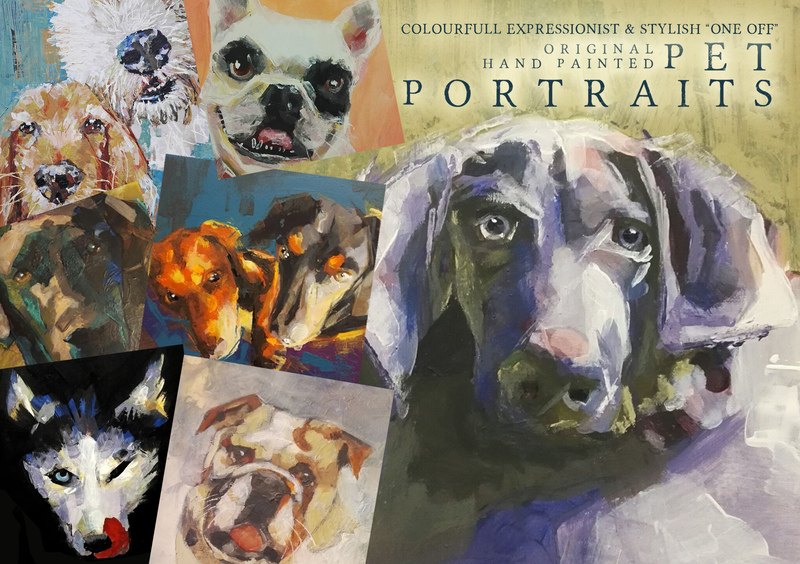 We create heavy colour laden expressionist portraits of your favourite fluffy, furry or silky smooth friends. 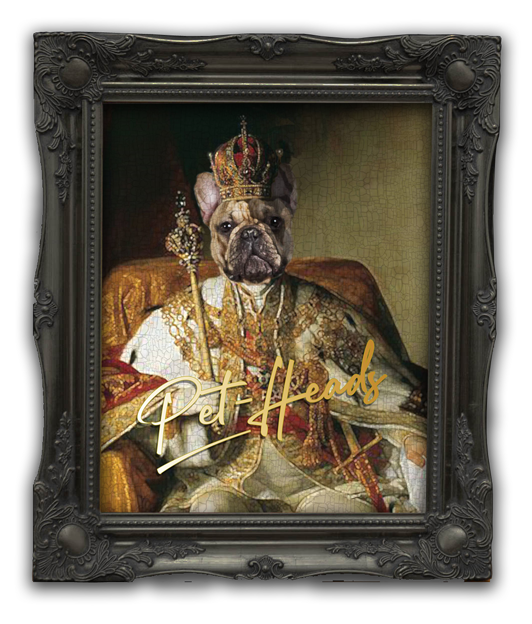 all are individual“one off” pieces of art created especially for you all come ready to hang in a Baroque style frame in Gold, Silver, Ebony or Ivory. We can also provide on canvas. Larger sizes can also be commissioned upon request..